Could gut hormones help make Dry January last all year? In this post, Dr Tony Goldstone looks at the role of gut hormones in controlling alcohol addiction and how they may provide a basis for future treatment. After the excesses of Christmas and New Year, it has become fashionable for January to be promoted as a time for reassessment and resolutions. There are promises and attempts at living a healthier lifestyle, including stopping drinking alcohol (‘Dry January’), joining that gym, stopping smoking, and eating better. However, we know how difficult it is to maintain behaviour change over the longer term. People start drinking excessively again, put back on the weight they lose, start smoking again, and their attendance at the gym wanes. For people who have hazardous levels of drinking, and those who are dependent on alcohol, this is particularly problematic. If people manage to stop drinking alcohol, we know that there are high relapse rates. In some studies, 60% of people with alcohol dependence have started drinking alcohol again after 6 months of abstinence. This is often precipitated by exposure to social events and situations where there is drinking, and stresses with family, job, and social circumstances. What is needed are strategies to help prevent relapse into drinking. While psychological and group support can be of benefit, there is also a potential role for medications to help reduce the craving for alcohol and the response to stress. The Division of Brain Sciences in the Department of Medicine at Imperial College London are currently running a research study in this area. We are investigating the potential benefit of a completely novel therapeutic strategy to prevent relapse in alcohol dependence. This is the ‘Gut Hormone in Addiction’ (GHADD) Study, funded by the Medical Research Council. This is targeting hormones from our guts, which can act on our brain to influence eating and addictive behaviours. As Senior Clinical Research Fellow and Consultant Endocrinologist), I lead this study together with Professor David Nutt (Professor of Neuropsychopharmacology) and Professor Anne Lingford-Hughes (Professor of Addiction Biology, and Consultant Psychiatrist at North West London Mental Health NHS Trust). Previous studies in rodents have found that hormones released from our stomach and intestines – when fasted or after eating food – can influence not only how much food they consume, but also how much alcohol they drink, how rewarding they find alcohol, and how motivated they are to consume alcohol. These hormones have not yet been tested in humans to see their effects on alcohol-related behaviours. The GHADD study is focusing on two hormones: glucagon-like peptide-1 (GLP-1), and desacyl-ghrelin. Both of these hormones have related medications (developed for treatment of diabetes and obesity) that are available for use in patients. The GHADD study is a first-in-human, proof-of-concept study to see if infusion of either of these hormones over several hours can reduce the craving for alcohol and food, and the activation in the brain when looking at pictures of alcoholic drinks and food, or stressful images. This is being examined in people dependent on alcohol who are currently abstaining from drinking, as well as people who are overweight and dieting. They are also looking at their effects on the response to cigarettes, and stress, in ex-smokers. Excitingly, preliminary results, presented at the Society for the Study of Ingestive Behaviour and The Obesity Society meetings in North America last year, have been positive. Infusion of the GLP-1 hormone suppressed the appeal of alcoholic drinks and associated brain activation in both people who are overweight (but not dependent on alcohol, though often drinking excessively), as well as those with alcohol dependence who have recently stopped drinking. This raises the possibility that medicines targeting these hormones may help people to cut down or stop drinking. If this preliminary study proves successful it will lead on to longer term clinical trials. These gut hormones may help Dry January last all year. If you are interested in learning more about the GHADD study, or seeing if you may be eligible to participate, please visit the website, or email ghadd@imperial.ac.uk. They are looking for healthy men and women, aged 18 to 60 years of age, who: (i) were alcohol dependent and have stopped drinking alcohol in the last 5 years; or (ii) people who are overweight and currently trying to lose through dieting; or (iii) ex-smokers who stopped smoking in the last 2 years, or current smokers who are aiming to quit soon. Dr Tony Goldstone is a Senior Clinical Research Fellow in the Department of Medicine at Imperial College London. 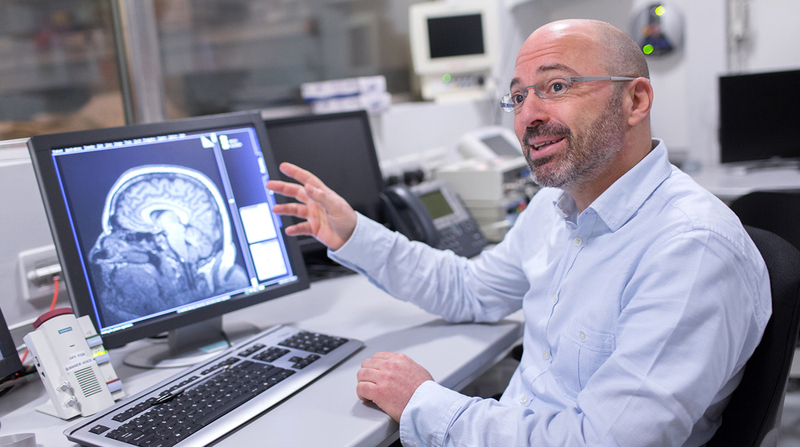 He currently leads the PsychoNeuroEndocrinology Research Group, which investigates the neurobiology of the body-brain axis in modifying eating and addictive behaviours in obesity, and smoking and alcohol dependence. He is a Consultant Endocrinologist at Imperial College Healthcare NHS Trust, based at the Hammersmith Hospital and St. Mary’s Hospital, looking after patients with genetic cause of obesity, and hormone problems after traumatic brain injury.